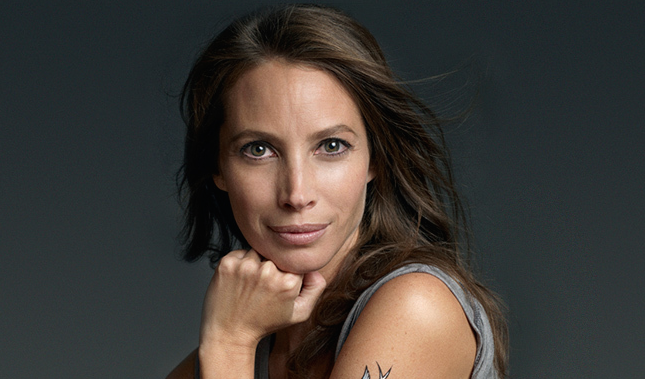 Supermodel Christy Turlington Burns is a woman after our own hearts, and we love everything about her. 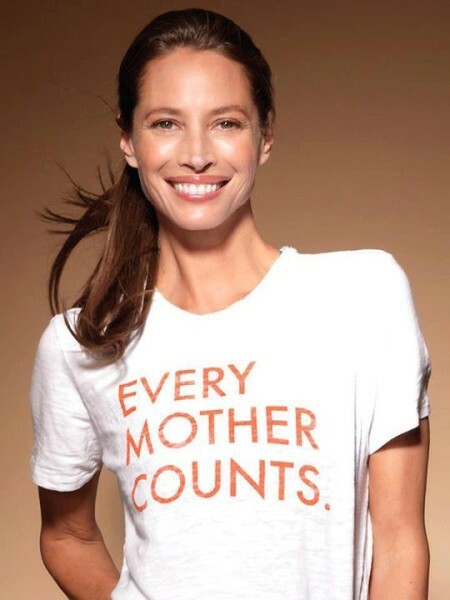 The wife of actor Ed Burns, and mother to daughter Grace, 11, and son Finn, 8 is not only one of the world’s most recognizable fashion icons, but she is also one of the world’s biggest advocates for maternal health globally. She was named one of Time Magazine’s ‘Most Influential‘ people in 2014 and Melinda Gates says she is a “tenacious” fighter against maternal mortality. The thing about maternal mortality is that is is a hugely preventable issue, and Christy is using her face, her name and her resources to reduce the rate of deaths. “Maternal mortality is down by almost half since 1990, a leading indicator of a better world, because mothers are the beating heart of communities. When they are healthy, everyone thrives. Christy is helping make that happen,” says Melinda in Time magazine, advocating what Christy is doing. Aside from joining fellow model Amber Valletta in a new PSA about ethical fashion, Christy is also the founder of a non-profit called Every Mother Counts where she travels around the world raising funds and awareness to eradicate maternal deaths due to lack of healthcare. The idea came about after Christy suffered life-threatening complications during the birth of her daughter. Thanks to modern medication and access to healthcare facilities, she is here today. But it made her realize there are many women in other parts of the world who don’t have the same resources, and die from something that is definitely preventable. “I think to know something and then not act upon it once you know it, is a shameful thing. Ignorance can no longer play a part at that point, and you need to do what you can,” she said recently. Through EMC she also educates women about the options available to them and how they can protect themselves and prevent illnesses. In 2010 she released a documentary called ‘No Woman No Cry‘ and now she has another documentary called ‘Every Mile Every Mother’ related to the same topic. The film was made in conjunction with Citizens of Humanity clothing, after she was featured in their “Just Like You” series in 2013, to highlight that in some third world countries, distance is the biggest factor in preventing women from gaining access to the help they need. “In a lot of the countries where we’re working, sub-Saharan Africa, and those places, 200 miles is an average distance that you would be from any major city or district hospital,” she says. Christy and a group of friends run a relay race called Hood to Coast which is 199 miles long. It is nicknamed ‘the mother of all relays’ which is totally appropriate for this cause! The race starts in Mt. Hood, Oregan, and stretches all the way to Seaside, Oregon and is completed in 24 hours! It is not exactly an easy race, but one that can be conquered by teamwork. A very synonymous theme with what Every Mother Counts is doing. “Distance is the difference between life and death in these rural areas – where a lot of the time all you can do is pray,” she said to the press at the premiere of the documentary. Her hope is that it will spark the interest of people who had no idea about this issue. According to statistics, one mother dies every two minutes while birthing a baby. That is so sad! The documentary shows the EMC team in Haiti training midwives, as well as proving access to power in countries like Malawi, Uganda, Indonesia and even some parts of the US. America rates 50th in the world when it comes to maternal mortality rates, behind both Bulgaria and Saudi Arabia. Christy is unashamedly using her Supermodel title to further the cause of her work, saying it has been a huge blessing. And part of what she is doing with Every Mother Counts is giving other mothers around the world a chance at the same kind of life: one that is filled with endless opportunities. We seriously could not have found a more timely story in the lead up to Mother’s Day.